Arriving early April the new Surge and Strike feature an offset blade for powerful river running duties. In straight or bent shaft with glass blades. Same pricing as Powerhouse and Sherpa and similar blade sizes. 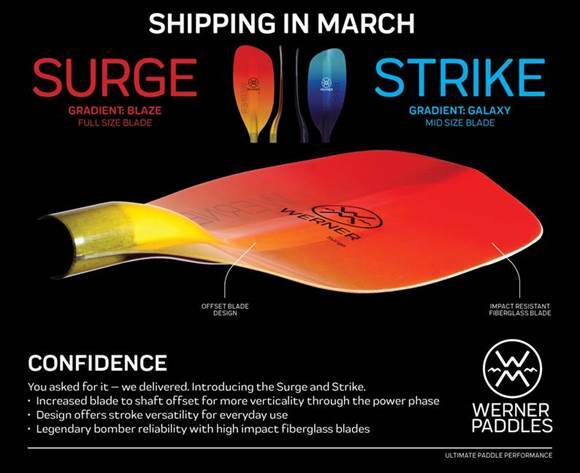 Strike Gradient Galaxy Blades similar size to Sherpa. Surge Gradient Blaze Blades similar size to Powerhouse.